Looking for a perfect way to squeeze art into your already jam-packed day? Check out the free resources at Crayola.com/Educator. You’ll find more than 1,200 Common Core–aligned lesson plans that let you integrate art; a video series that covers art and creativity, critical thinking, communication, and collaboration; grant information; and plenty more! Click here. Here’s a resource that’s perfect for your preschool or kindergarten classroom. If you haven’t checked out ABCmouse.com/schools yet, do it now. Why? It has more than 5,000 learning activities. It supports Common Core. It has a full online curriculum. And it’s absolutely free for schools! 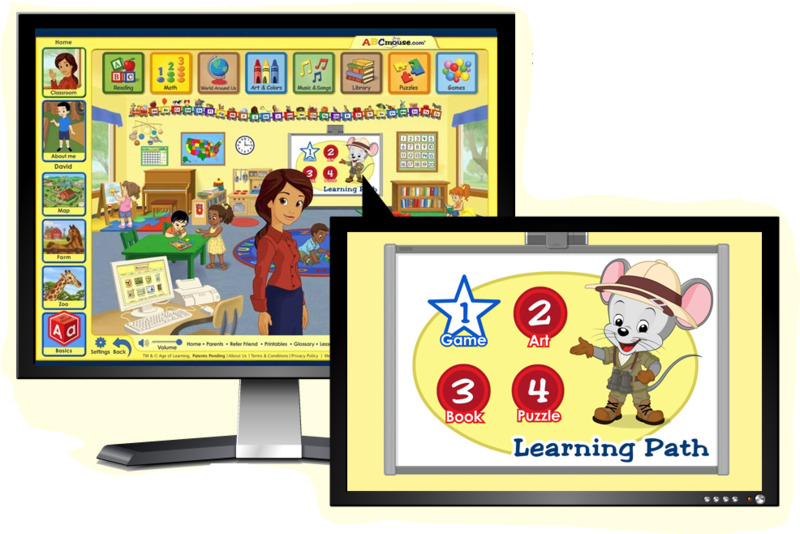 As one preschool teacher put it, it’s “age-appropriate technology at its best.” See it here. I know you strive to be the perfect teacher in your classroom. Why not enhance your impact on student achievement and school improvement by earning an online graduate degree from American Public University? There are more than 90 degrees to choose from, all class content is delivered online, and onsite clinical requirements can be met in your home school. The cost? It’s about 33 percent less for graduate students than the average in-state rates at public universities. Check it out! Would love the books! ABCmouse.com is a great site! Absolutely love crayola. Ther eis so many things you can do with the kiddos. Love ABC Mouse. I would love to win the books. The crayola arts is awesome. U prefere crayola crayons as one of my required classroom supplies. I love the Crayola art lesson ideas. My students always love to do a visual piece to accompany their writing. I love the idea that Nobody’s Perfect. I had a second grader tell me lately that we are all different and great at being ourselves. Art-infused lesson plans! Go Crayola! I LOVE ABC Mouse. We use it for every letter! It is such a great free resource! Those books look great. So awesome for the classroom! I would love a copy of The Perfect Percival Prigg! What a fun-looking book and a great way to discuss the topic with students. The Crayola.com/Educator site always has new and innovative ideas. I love it! I love Nobody is Perfect. So true. Everyone said that I would outgrow my love of chocolate as I grew older. Well it just never happened and I doubt that it ever will. I would love to have a copy of either book. They would make a great addition to my library and help kids with this concept. I could use Nobody’s Perfect and The Perfect Percival Priggs as a class lesson plan. As well as a good book to read. I love the idea of positive closing circles. All the books looks wonderful but Nobody’s Perfect sounds perfect for first graders. I like Crayola. I use it all the time and have recommended it to other providers and parents.